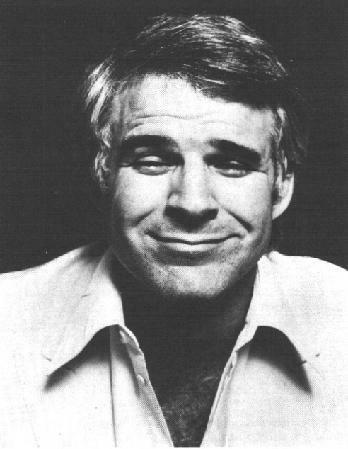 ￼In his book Born Standing Up, Steve Martin said his goal was to ”leave them unable to describe what it was that had made them laugh.” He followed a strategy of “no punchlines” and he did alright for himself in a line of work where punchlines had always been the job. ￼They’re opposite lessons on the surface — avoid the payoff of the punchline and deliver the payoff of the punchline — but they’re both about defying expectations. They’re creating tension in the conversation between the comedian and the audience (or graphic designer and the public), and because they’re interesting, they’ve got our attention until the tension is resolved. There’s no such thing as a great story that doesn’t challenge you. If you want people to care about what you have to say, you have to push them, but be interesting enough to make them happy to be pushed.